92 1 Boliviano 29.11.1902(tropical veget.) 25.00 [Obverse] [Reverse] Original image n/a. 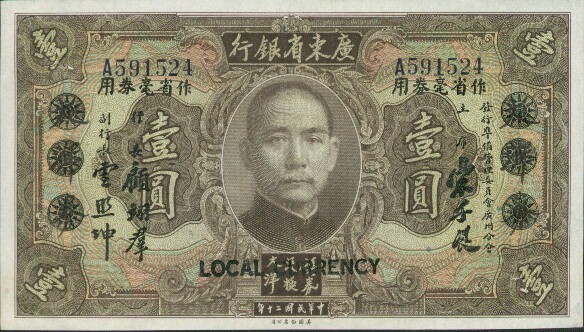 Original note has an unequally cut upper edge. 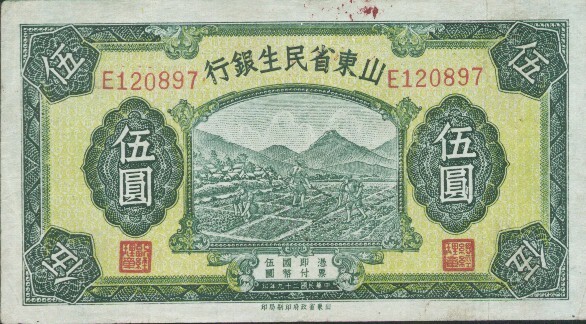 118r 10 Yuan 1.10.1914 (ship,train) VF 6.00 [Obverse] [Reverse] SIMILAR! 147d(79) 10 Francs 1.6.1972 (Voltaire) 17.00 [Obverse & Reverse] SIMILAR! 15c 1 Pound 1.7.1954 (ser#: E310252)(rock) VF 30.00 - No image, but serial #: E310252. S111b 1 Peso 2.11.1914 VF/XF 30.00 [Obverse & Reverse] SIMILAR! Plenty)(M.Garcia Teruel)(Bank of Mexico) XF 30.00 [Obverse] [Reverse] SIMILAR! S388b 1 Peso 1.4.1914 AU (ser#:1624027) 28.00 (square seals w/sun) No image, but ser#:1624027. 5b(3) $1 2.1.1939 (sailships) aVF 22.00 [Obverse] [Reverse] SIMILAR! 53(36) 100 Rupees 16.10.1954(QEII)Scarce VF 175.00 [Obverse] [Reverse] SIMILAR! 25(26) 1 Pound 19.10.1964 QEII XF/AU 90.00 [Obverse & Reverse] SIMILAR! 84b(82) 1 Pound 10.11.1941 (sailship) AU 75.00 [Obverse] [Reverse] SIMILAR!